Experiencing stress and anxiety? Acupuncture can help. As an adjunct to conventional treatment, we use acupuncture for anxiety, stress, depression in our Melbourne Northern suburbs clinic. Acupuncture can help turn down the volume so you can better manage your mental health. Stress is a common complaint cited by acupuncture patients, with a variety of possible associated symptoms such as anxiety, feeling down or worried. . Some other conditions that are affected by stress include: back pain, chronic pain, depression, headache, insomnia, irritable bowel syndrome, menopausal symptoms, migraines, premenstrual syndrome and urinary incontinence (1). 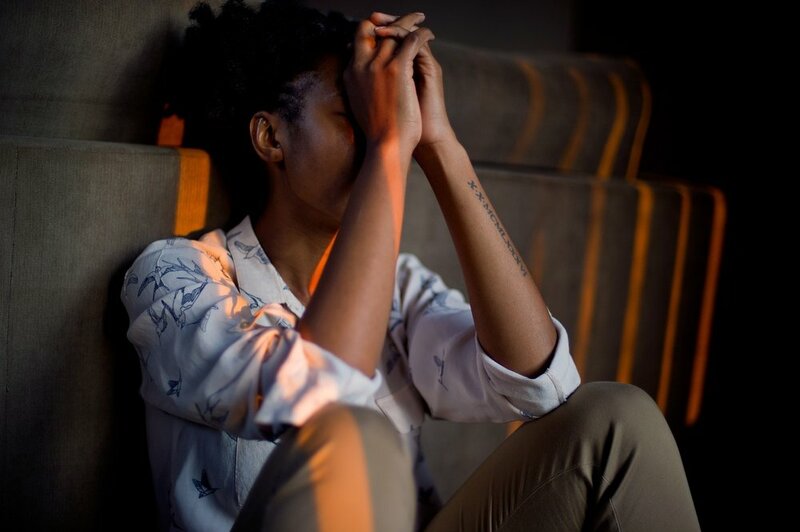 The signs of stress can vary from one person to the next and may manifest physically as an illness, tiredness or lethargy, or as symptoms such as sore, tight muscles, dull skin, lank hair, or erratic sleep patterns. Mental stress can result in depression, mood swings, anger, frustration, confusion, paranoid behaviour, jealousy or withdrawal (1). A recent 2018 analysis included 13 studies and it was reported that using acupuncture resulted in a decrease in symptoms when compared to the control (4). The US Veteran affairs review reported a potentially positive effect and a subsequent RCT released in 2015 reported that acupuncture plus usual care superior to usual care in the symptoms of PTSD severity, depression, pain and physical and mental functioning (10,11). It is important to remember that acupuncture should only be considered an adjunctive treatment to normal care. Although evidence may show a positive effect on some symptoms of anxiety and stress, it is important to also remember that in many of the studies this is in addition to usual care. At Coburg Chinese medicine we strongly discourage people ceasing medication or other treatment, without support and advice from their treating physicians. When working with patients experiencing anxiety or stress, we begin by looking at everything going on with you and your body. Acupuncture and Chinese Medicine look at the mind and body as a whole. At Coburg Chinese Medicine we will ask you questions about exactly how your depression, stress and/or anxiety affects you, then we will review other aspects of your health like your digestion, headaches, sleep quality, muscle pain and energy levels. At Coburg Chinese medicine we support an integrative and inclusive approach to mental health. 2. Goyata SL, Avelino CC, Santos SV, Souza Junior DI, Gurgel MD, Terra FS. Effects from acupuncture in treating anxiety: integrative review. Rev Bras Enferm. 2016 Jun;69(3):602-9. 6. Au DW, Tsang HW, Ling PP, Leung CH, Ip PK, Cheung WM. Effects of acupressure on anxiety: a systematic review and meta-analysis. Acupunct Med. 2015 Oct;33(5):353-9.